We might not make a difference for ALL animals, but we will make ALL the difference for some. Please Make a Donation: Help Rescue These Dogs! Those of us who are animal lovers would find it very difficult to imagine a community where there are hundreds of unwanted animals literally abandoned like trash at dumpsters and in the streets, simply because there are no shelters or animal welfare services whatsoever! 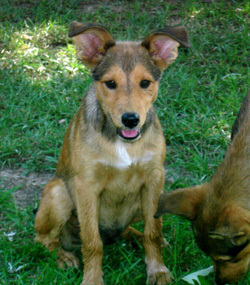 A puppy named Bingo is Burke County's Old Fella Animal Rescue's 2000th rescued animal. Bingo's mother didn't take advantage of Old Fella's Spay Neuter program and I guess you know the rest of the story. Mom is a full-blooded Sheltie , but his father took the high road and is still at large. 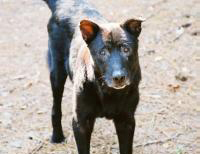 Old Fella has been faithful to Burke County's unwanted and stray animals for over 5 years and has made a huge difference in their quality of life. A big THANK YOU to the volunteers past and present who have given so much to the animals of Burke Co. Old Fella continues to thrive because of our volunteers tireless commitment and passion for animals. Old Fella is proud to have PetMeds Cares as a partner! PetMeds Cares is dedicated to helping the pet community, with our shelter donations program and our weekly adoptable pets blog posts. 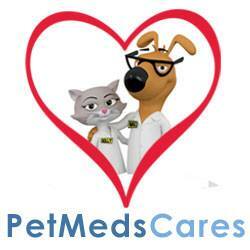 PetMeds Cares is a part of 1-800-PetMeds, America's largest pet pharmacy. The Cares program organizes product donations to shelters and rescue groups across the country. 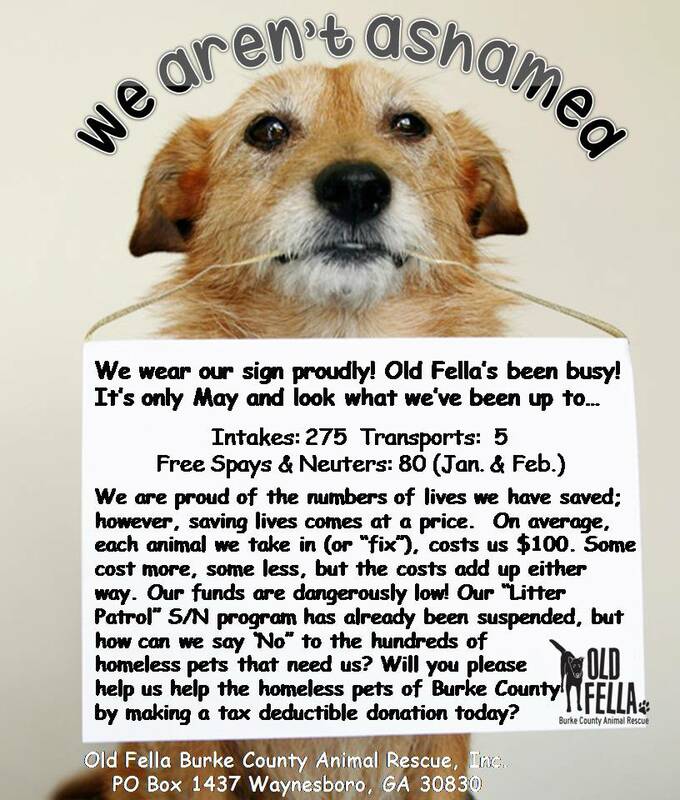 To suggest a shelter for donations, please email donations@1800petmeds.com. Old Fella is proud to be a Partner for Pets! BISSELL and LostPetUSA.net have teamed up to help organizations like ours raise money, and now you can help too! When you purchase pet products on bissell.com and enter the code ADOPT at checkout, a portion of your purchase will be donated to our rescue. What’s more, every purchase goes towards an entry for us to win a $5,000 quarterly giveaway! The Pedigree Foundation has generously awarded Old Fella Burke County Animal Rescue, Inc. an operating grant! This grant will help us continue our work to help animals in need. We’re very grateful for this grant, and appreciate the support of The Pedigree Foundation. The PEDIGREE FOUNDATION Logo is a trademark of Mars, Incorporated, and is used with permission. Thanks to a generous grant from the Two Mauds Foundation, Old Fella will be able to spay/neuter and vaccinate 77 barn cats for rehoming. These cats can range from friendly to feral. Cats will be free to barn and business owner’s looking for a natural rodent control. However, donations are appreciated. Please Bless Their Hearts with your Donation Old Fella’s Bless Their Hearts fund is our way to express our regret about rescue dogs who have heartworm disease, but also to raise the money to treat them! Click here to read more. Old Fella cats and dogs are living in our homes. Foster parents allow our orphans to become part of their families until a forever family is found. Our animals are usually socialized with dogs, cats, and children, depending on the foster home. When you adopt an Old Fella, our foster parents will be able to tell you about your new pet's personality so that you will know what to expect. Not only are Old Fella dogs crate trained; but, by the time they are adopted, they have started basic obedience training. This includes walking on a leash, "sit", "down", and "stay". They are also being socialized with other dogs. All of this helps the new family and our little orphans. Our basic obedience classes are open to all adopters, at no charge. Old Fella Burke County Animal Rescue exists to improve the lives of needy companion animals by rescuing the ones in need, providing spay and neuter surgeries to prevent litters of the unwanted, and by educating the community about responsible pet ownership. Whether you adopt, volunteer or donate, you are saving lives and making Burke County a better place to live for both people and pets.